The first time I saw a butterfly doing that, I had no idea what it was up to. Since then, I’ve learned it’s called ‘puddling’ or ‘mud-puddling,’ and you’re exactly right that it’s a way to gain needed nutrients. I tend to associate that behavior with certain butterfly species and not the ones I am used to seeing on flowers. 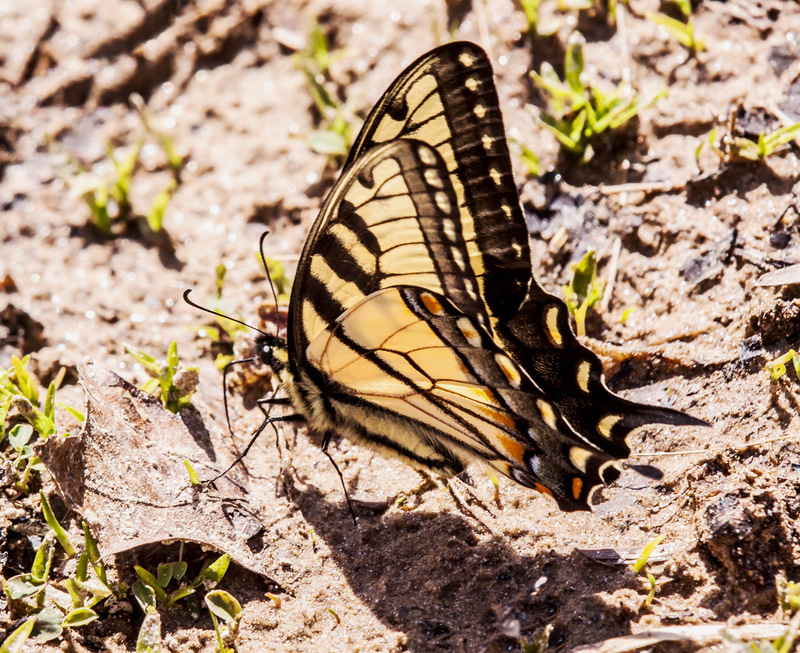 I remember too the first time I saw a butterfly perching on animal droppings and I was told that was also for the nutrients. Thanks. It’s a little unusual for me to put together two disparate species in a post, but decided on the spur of the moment to do so today. Yellow or “lellow” as Benjamin used to say, and still does jokingly on occasion, is a happy color and just makes one smile whenever observed in nature. Just a few minutes ago, I was smiling at my Forsythia bush in its yellow blooms and all the wild ones blooming on the hill behind the house. These lovely photos of a bird and a butterfly go together well in your post, a delightful hello to yellow! Thank-you, one can never smile too much. P.S. Benjamin has not been here for several days and I have been saving the previous three posts for him. Would you care to guess which will be his favorite? Ah, the joys of spring color! Even though our winter is shorter than yours it is still is a grand feeling to get out and see the color changes. The pine warbler is a cheerful little chappie and looks perfect in the needle foliage! Thanks, Liz. 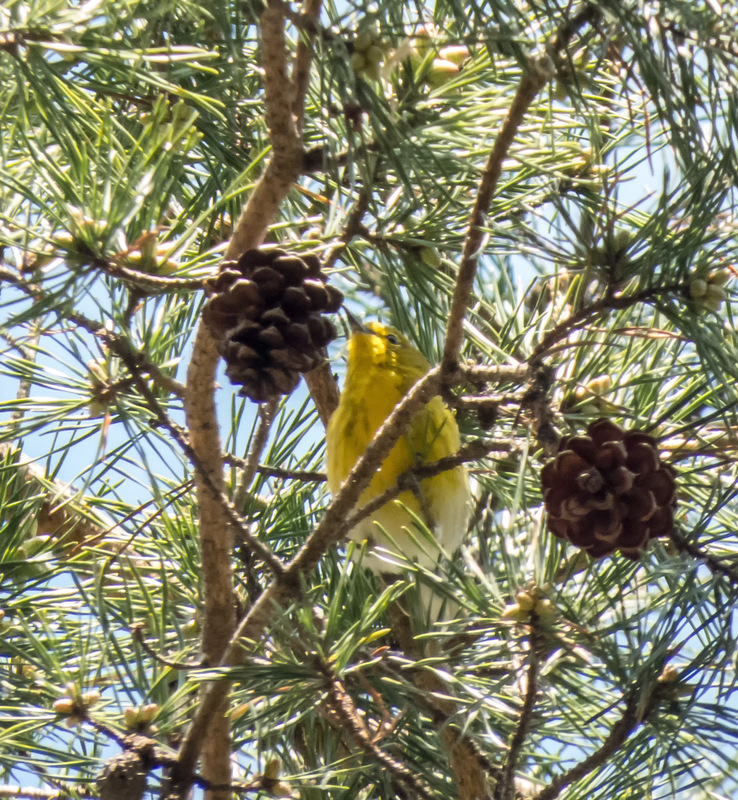 It was quite a challenge trying to shoot almost straight up when I spotted the bright yellow color or the bird amidst all of the pine needles.